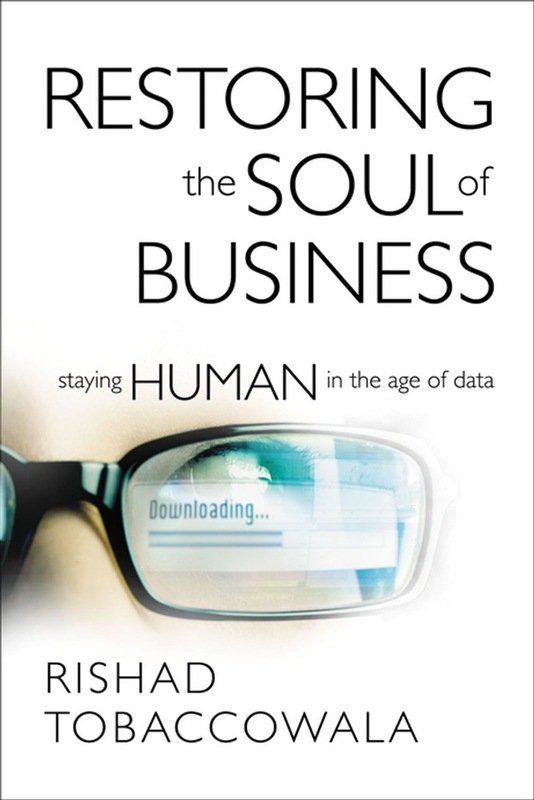 A global marketing-innovation visionary reveals the high cost of an overreliance on data and shows leaders how they can restore the soul of their businesses by reclaiming the human creativity, insight, and relationships essential to competing and winning in the new economy. Businesses great and small, from old-fashioned bricks-and-mortars to cutting-edge startups, are moving into uncharted territory, as they determine how to transition from an analog past to a digital future. But here’s a startling and often unacknowledged truth: The promise of digital transformation can only be realized when we find a way to balance it with the promise of people. Named by TIME magazine as a top five marketing innovator, Rishad Tobaccowala draws on research and interviews, as well as his thirty-plus years of experience as a digital pioneer, business operator, and thought leader, to describe how digilog companies--ones where digital tools and analog people are integrated expertly--develop a hybrid consciousness and learn to be proactive when they see warning signs that human traits are being subordinated to digital factors. 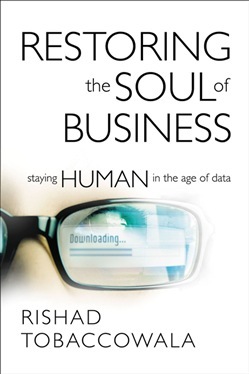 Restoring the Soul of Business provides practical tools and techniques that every organization can and should implement, and challenges readers to move forward with the kind of balance that catalyzes transformation and produces one great success after another. Readers will: Understand how to unleash the significant benefit that can by realized by combining emotion and data, human and machine, analog and digital. Spot the warning signs of data-blinded companies: cold cultures with little human interaction, poor innovation stemming from stifled employees not encouraged to contribute ideas or insights, an overreliance on numbers versus instinct, and poor customer service due to automated, robotic processes that cause frustration and hurt the brand. Explore how organizations of various sizes and from different industries, from Walmart and IBM to Netflix and Google, have successfully reoriented their thinking on how to fuse technology and humanity. Gain skills to become an expert in connections critical to growth and success, including the connection between being creative and using technology, between succeeding today and thriving tomorrow, and between leveraging networks and creating new ideas and approaches. Anyone with a hand in developing an organization’s culture will find penetrating observations, fresh insights, and practical guidance about how and why establishing the proper balance between human intuition, creativity, and data-driven insights can lead to increased revenue, profitability, retention--and even joy--in business. Acquista The Restoring the Soul of Business in Epub: dopo aver letto l’ebook The Restoring the Soul of Business di Rishad Tobaccowala ti invitiamo a lasciarci una Recensione qui sotto: sarà utile agli utenti che non abbiano ancora letto questo libro e che vogliano avere delle opinioni altrui. L’opinione su di un libro è molto soggettiva e per questo leggere eventuali recensioni negative non ci dovrà frenare dall’acquisto, anzi dovrà spingerci ad acquistare il libro in fretta per poter dire la nostra ed eventualmente smentire quanto commentato da altri, contribuendo ad arricchire più possibile i commenti e dare sempre più spunti di confronto al pubblico online.